Your gift to the Msgr. Walter Brunkan Charitable Fund with the Community Foundation of Northeast Iowa allows recommendations for grants to be made each year to support charitable causes that carry out the mission of the Community Foundation. Your gift to the Baker Family Fund with the Winneshiek County Community Foundation will support the Decorah Public Library for the purchase of books for the library's collection. By making this gift, you are extending the gift of reading to the visitors of Decorah's library. Your gift to the Mark and Peggy Baldwin Family Fund with the Community Foundation of Northeast Iowa allows recommendations for grants to be made each year to support charitable causes that carry out the mission of the Community Foundation. Your gift to the Bancroft Community Foundation Fund with the Kossuth County Community Foundation will charitably benefit the citizens of the Bancroft Community, located in Bancroft, Iowa. Your gift to the Pauline R. Barrett Fund with the Community Foundation of Northeast Iowa allows recommendations for grants to be made each year to support charitable causes that carry out the mission of the Community Foundation. Your gift to the Keith M. and Dorothea W. Baskins Scholarship Fund with the Community Foundation of Northeast Iowa allows the Community Foundation to award financial assistance to students pursuing higher education. As the cost of tuition continues to rise, it is more important now than ever to diminish the barrier of affordability and allow students to focus on what is most important - their education. Your gift to the Berdena J. Nelson Beach Family Scholarship Fund with the Community Foundation of Northeast Iowa allows the Community Foundation to award financial assistance to students pursuing higher education. As the cost of tuition continues to rise, it is more important now than ever to diminish the barrier of affordability and allow students to focus on what is most important - their education. Your gift to the Louis and Gert Beecher Fund with the Community Foundation of Northeast Iowa will support the charitable activities of St. Edwards Church in Waterloo, Don Bosco High School in Gilbertville, Columbus High School in Waterloo, and Boys and Girls Club in Waterloo.  Your gift to the Cedar Falls Community Schools - Brock Behn Scholarship Fund with the Community Foundation of Northeast Iowa allows the Community Foundation to award financial assistance to students pursuing higher education. As the cost of tuition continues to rise, it is more important now than ever to diminish the barrier of affordability and allow students to focus on what is most important - their education. Your gift to the Bel Canto Cedar Valley Endowment Fund with the Community Foundation of Northeast Iowa will help support the charitable activities of Bel Canto Cedar Valley.